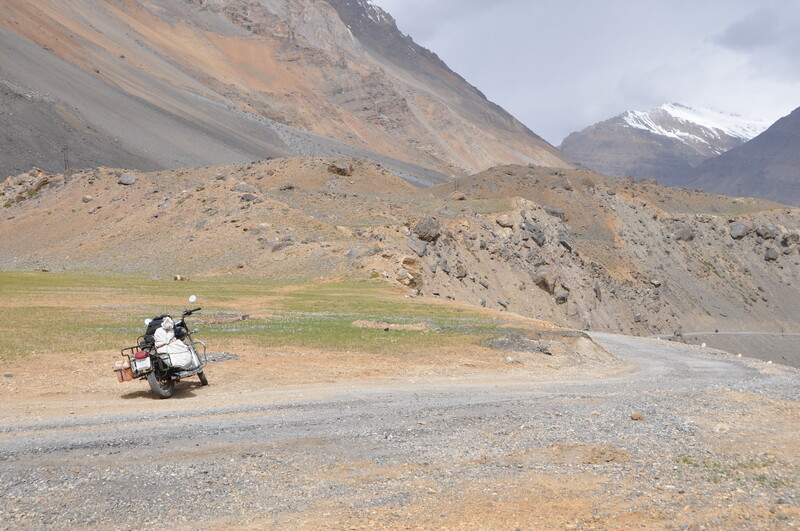 The road trip spanning 13 days and over 1000 kms across three spectacular districts of Himachal Pradesh India, took place staring 2nd Jun 2012 with lot with a lot of uncertainties. This is a travelogue reflecting those spectacular few days in perhaps the most beautiful places on Earth. Frozen landscape, snow fall and chilly wind blowing at tremendous speed does not represent fun. This was the situation at the higher reaches of Kumzum pass. The glaciers have made sure the pass remained closed. Yet, amidst all the confusion, there was a tiny ray of hope. The human factor it is said…..
Sleep eluded me. The thought of not having enough fuel for the trip made me uneasy. I was certain that if I don’t fuel in Peo, I might have to stay back. In any tightly scheduled trips, such delays meant disaster. Tiredness was not an excuse. I was back on the street repacking my bags to continue the journey that had stopped previous day. Breathing the fresh morning air revitalized me giving that kick-start to the vertex of my spine. It all started over a cup of coffee. Its was time for biking again. Having taken no breaks for over six months prompted me to urge my friends to join me on a trip to explore three most exotic regions of Trans Himalayas. Getting the basic plan to work was not easy. Uncertainties are part of any adventurous trip, but weather irregularities could damper the whole trip. While planning a trip is difficult, executing it is altogether a different ball game. Initial enthusiasm shown by my friends died down quickly as the the dates neared. In the end it was just two of us. Over the past few years, I have understood and coped with realities of travel. Only the most adherent travelers manage to take time out of their lives to travel, for the rest it is just a passing fad.